Winter is Coming, uploaded into Flickr by Stuck in Customs. Click on pic to see it in Flickr. Another HDR jawdropper from StuckinCustoms. GOTTA SEE IT IN LARGE ON BLACK. 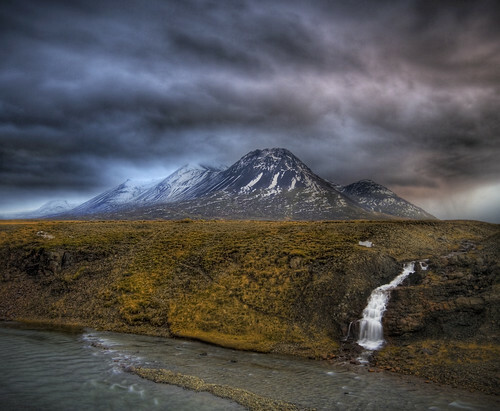 Where is it from?...a place called Stadarskali, Iceland. The Icelandic landscape, so recently (at least in geologic terms) wrought by volcanism, is so...so..out of the ordinary. The earth at work.